In tobacco farms around the U.S., children as young as seven are being exposed to high levels of nicotine and toxic pesticides and are working more than 50 to 60 hours a week. Most of them are Latino, according to a new report from Human Rights Watch. "The children we interviewed were mostly the sons and daughters of Hispanic immigrants, though they themselves were frequently US citizens," states the report. Most of the children were seasonal workers and many had migrated by themselves or with their families to work on the tobacco farms which supply the largest tobacco companies in the world. Human Rights Watch interviewed over 141 children between the ages of 7 and 17, and three quarters of them reported symptoms consistent with acute nicotine poisoning. While working in tobacco fields or barns with dried tobacco leaves and dust, the children said they felt nausea and vomiting, as well as dizziness, skin rashes, difficulty breathing and irritation to their eyes and mouths. One 16-year-old who wants to study engineering said he had headaches that last for days. Many children also spoke of getting "woozy" and dizzy after tractors sprayed pesticides around them. The children also reported injuries from heavy machinery and tools. "Based on our findings - Human Rights Watch believes that no child under age 18 should be permitted to perform work in which they come into direct contact with tobacco in any form," stated the report. Ninety percent of the tobacco is grown in four states - North Carolina, Kentucky, Tennessee and Virginia. In the agricultural industry it is legal for children as young as 12 to work for unlimited hours. While there is a law limiting children under 16 from working in dangerous farm work, the law does not include working with tobacco leaves and plants. 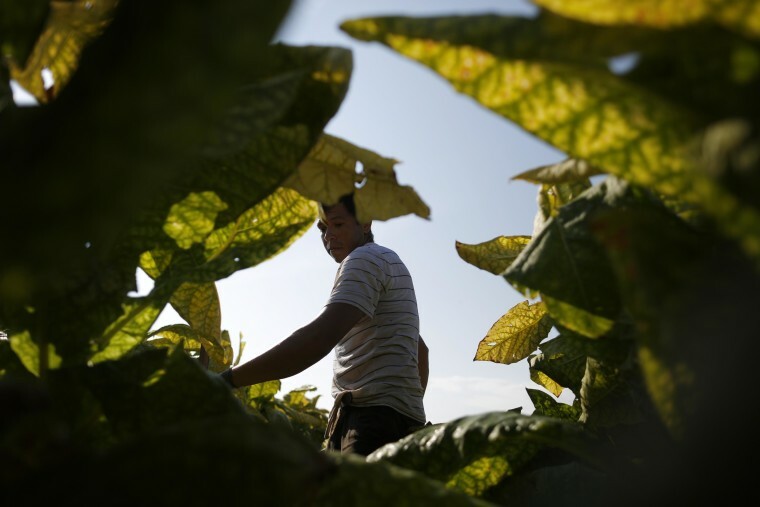 Human Rights Watch reported that nine out of ten tobacco companies reached about the report's findings said they had taken steps to prohibit child labor in their supply chains.